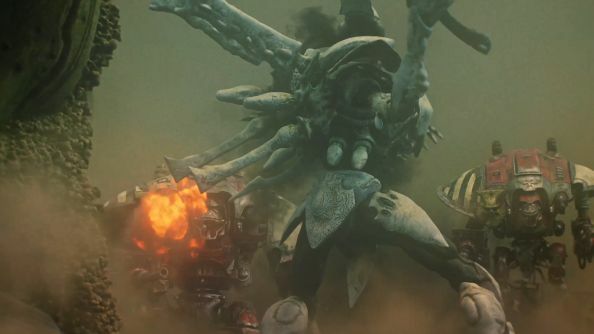 There’s no need to sit tapping your power-armoured feet in anticipation of Dawn of War 3: Relic Entertainment’s next game, over a decade after the original, is already out and we really like it. 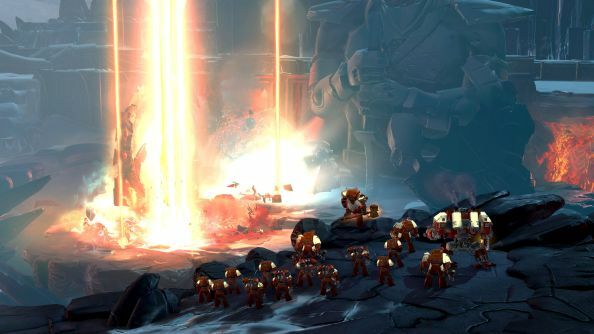 Allow us to bring you everything we know about the third iteration in the Warhammer 40,000 strategy series. Has Dawn of War 3 got you in the tactical mood? Here are our favourite strategy games on PC. Here’s our full PC review of DoW3. You can get your strategy on right now: Dawn of War 3 released on April 27. It’s available in two editions: Collector’s Edition, and Standard Edition. Dawn of War 3 follows both the model of the first’s large armies and control-point capture, the second’s hands-on tactics at squad-level. As you can see in the video above, there’s a focus on scale and super-sized units, but DoW 3 still retains the clashing armies of the first game and heroes of the second. While the strategy of each map is controlled by power generators and capture points like in the first game, units with unique special abilities are inherited from DoW2. They’re called Elites, and in singleplayer they are collected and upgraded as you progress. They dominate battlefields, be it through tactical buffs from commander units or, y’know, massive guns. However, they’ve got specific weaknesses: never send a hero in alone if you’re not prepared to lose them. Check out our Dawn of War 3 unit guide for more. Cover has been simplified; squads capture defensive areas and become more resistant to range fire, rather than there being flat buffs in certain areas of the map. Cover is, however, now easier to clear out with assaults. Being in cover grants near immunity from ranged damage, so jetpacking/charging/teleporting in really is the only option to clear out the entrenched. Of course, assault troops have a massive advantage once close-quarters are achieved, so it doesn’t take much to counter. 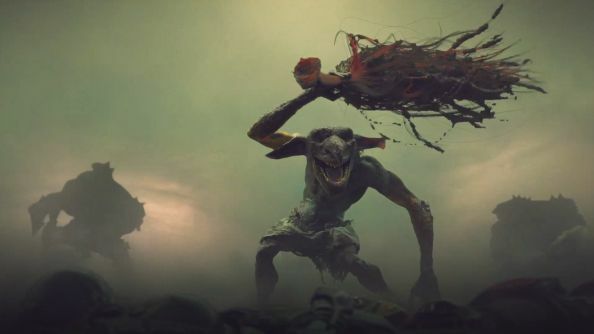 Dawn of War 3’s campaign features each faction converging when a catastrophic weapon is found on the mysterious world of Acheron. That weapon is the Spear of Khaine. Through the narrative you’ll move from Space Marine, to Ork, to Eldar as each go about their business of trying to massacre the others. Throughout, you use a selection of elite units in combination with a swell of line troops to complete massive maps with multiple objectives. All three races follow the theme of starting small and establishing a base then overwhelming an enemy, with unique twists on traditional RTS structures for each army. An objective-based system is used for matches, with turrets and power cores to destroy rather than wiping out your opponent’s buildings. Beyond the campaign and multiplayer, how will Dawn of War 3 expand? Warhammer is so ripe for addons that DLC is inevitable, but there’s nothing confirmed yet. All we have had so far is the Annihilation Update, featuring a new map, mode, and unit. The Company of Heroes 2 model seemed the most likely, with factions added as paid upgrades every so often, letting anyone face against them in multiplayer without paying, but to play as them you cough up the cash. However, big, chunky expansions worked very well for both the original game and the sequel. A lot of this could also depend on how successful the game is in its first year. A Dawn of War 3 that sells a couple of million copies is a far steadier base on which to build a constantly expanding service model than one that limps its way to a couple of hundred thousand, getting a single expansion before being shelved for the next big game. 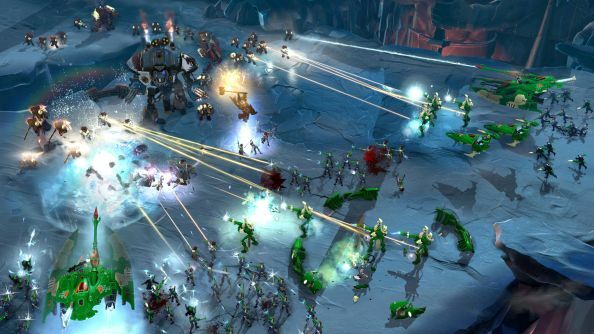 Early signs were good for Relic’s latest RTS, with Dawn of War 3 seeing 100 hours of game time in its launch week. Dawn of War 3 launched with a map editor and Relic want to expand on that with a proper mod support workshop. After all, what is more ripe for modding than a Warhammer 40,000 game? No matter how long Relic spend building a base version, within three months Games Workshop will have released some new army, unit or special character that someone would want to use. Even if GW gave up on the franchise tomorrow, Relic aren’t going to cram everything that currently exists within the massive universe into the game – the community will gather up their favourite factions and get them working, if allowed. This was the case for the first two games, with mods like Ultimate Apocalypse still being regularly updated by committed development teams. While neither ever had the legacy of something like Skyrim or the long-running map-making pedigree of Blizzard’s games, there was lots of interest there. Previous versions didn’t have the support structure of the Steam workshop, nor the modern internet speeds and level of modder capability that’s pushed mods into such a mainstream area of gaming. That’s everything we know for Dawn of War 3. Let us know if you’re enjoying the game in the comments.